A majority of humans are caring by nature. Archaeologists recently dug up the bones of a human who lived around 500,000 years ago. Further study of the bones showed that they belonged to an elderly, disabled man who may have had trouble walking or carrying a heavy load. It is obvious that he lived as long as he did because he had support from other people. This information suggests that senior care is at least half a million years old and that empathy and caring are essential human characteristics. In Rome and Ancient Greece, elderly people who needed care relied on extended family or children to take care of them. If an elderly person wasn’t being properly cared for, the punishment was the loss of citizenship, which, next to execution, was one of the more severe forms of punishment for Athenians. Family members were primarily responsible for taking care of the elderly. This has changed little over the last 2,000 years. Some progress was made in understanding senior care and aging during the medieval Islamic period between antiquity and the enlightenment. Scientific advances in science were being made while Europe remained stagnant in this area. “Canon of Medicine” was an early influential medical Arabic writing by Ibn Sīnā from 1025 CE that described elderly care. During Europe’s Dark Ages, Old age was often viewed as a “positive evil.” Elderly people were often feared and denigrated. Art conveyed a variety of religious themes that portrayed seniors as grotesque. This was meant to discourage attachment to the body and to materialism. Art during the Enlightenment period was a lot kinder towards elderly people, as society grew to appreciate older people along with the benefits of aging. Some of the best paintings of the elderly evoked the beauty, wisdom, and experience of those who were being painted. Local elders were acknowledged at festivals which took place towns and villages all over France. Major changes took place in the 1800s for seniors and humanity. In North America and Europe, governments realized they had an obligation to make sure that the indigent elderly population had a place to live and enough food to eat. Both poorhouses and workhouses were constructed for seniors who had no means or family to take them in. While these living facilities were meant to be charitable, they were terrible places to live. Seniors who lived in these structures were known as inmates. Both females and men were regulated by their gender, had to wear uniforms, and were forced to work in order to keep the property maintained. In addition, the poorhouses also housed alcoholics, the mentally ill, the disabled, and orphans. Karen Stephenson’s book, <i>History of Long Term Care</i>, describes the living conditions as being barely tolerable and horrific in many cases. Care started becoming more specialized but had not improved much. A law was finally passed that disallowed housing orphans in poorhouses. Asylums were available for the mentally ill and indigent senior residencies were in development. By 1823, the Indigent Widows’ and Single Women’s Society in Philadelphia opened in the U.S. This was one of the first senior living facilities in existence. Elderly people were no longer forced to live in poorhouses, however, the new homes were despotically institutionalized. America was undergoing industrialization, and it was thought that a factory’s efficiency could also be applied to caring for the elderly population. In the middle 1800s, the first pieces of the modern care system were in development. Religious groups, tradesmen, and fraternal organizations were opening nonprofit housing for seniors as an alternative to state-run institutions. Some examples include the Odd Fellows, Masons, and Knights of Columbus and the German Benevolent Society. Younger members of these groups paid into a pool that operated similarly to the way our pension system does today. Many of the homes were very nice places to live and some of them are still in operation. Aging became an important area of study by the 20th century. During the first decade of the 20th century, the terms “geriatrics” (medical care for the elderly) and “gerontology” (a study of aging) were both coined. During that same decade, Alzheimer’s disease was identified and described for the very first time. Additionally, governments all over the Western world instituted social welfare initiatives which provided income to seniors who could no longer work. One of the first pensions for retirees originated in Germany in the 1880s. Other nations eventually followed, but it took some time. During the Great Depression, the U.S. created an old age pension plan and by 1935, Social Security was passed by President Franklin Delano Roosevelt. Since then, every nation has developed pensions for retired workers. In 1965, Medicare and Medicaid were created to ensure that seniors would have accessible medical care regardless of their financial situation. The elderly population is increasing at a rapid rate. Over 8,000 Baby Boomers have joined over 40 million Americans who are 65 and older. A variety of senior care options were developed across the U.S. and the rest of the world due to the increased aging population and a need for alternatives to nursing homes. For people who do not need a nursing home but are still unable to live independently, assisted living communities are providing intermediate care in the U.S. Other types of senior housing and senior care have blossomed, including respite care, continuing care retirement communities, memory care, and in-home care. Likewise, age-related health concerns are being prioritized as well. For instance, the Obama administration prioritized Alzheimer’s research and set optimistic goals for finding a cure for the disease by 2025.
Who Will Care For Baby Boomers When They Need Elder Care? How Do I Find Residential Care for My Parents? We would be honored to provide guidance and input as you research elder care options. Use the form below to get in touch. 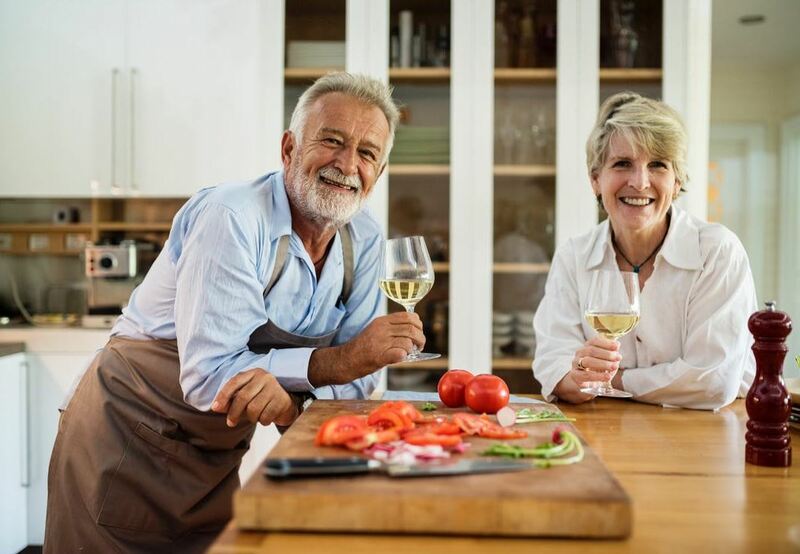 Each home embraces a life of joyfulness that enhances your quality of life through a safe living environment, stimulating social interactions, compassionate care and restorative nourishment from organic food.